Tool is an American rock band formed in Los Angles, Calif. Tool was formed in 1990, and to this day, they continue to perform scheduled concerts. Tool has performed their music worldwide, topping the music charts in several countries. Tool has had number one song(s)in the United States. They’ve won three Grammy Awards, two for best performed songs and another for best album released. They have had a series of platinum awards and hits on their four full albums. Tool’s band line up includes frontman and lead vocalist, Maynard James Keenan; drummer, Danny Carey; guitarist, Adam Jones. The bassist, up until 1995, was Paul D’ Amour, but has since been replaced with Justin Chancellor. The start of the band formed when Keenan and Jones were in Los Angeles trying to strike up a band for one purpose, to play some music with a full band. They eventually after attempting to recruit band members got Danny Carey, because he felt bad for them, and bassist Paul D’Amour. The name for the band was exactly what it songs, a tool for purposes of the users needs. ” Tool is exactly what it sounds like…It’s a wrench…we are… your tool; use us as a catalyst in your process of finding out whatever it is you need to find out, or whatever it is you’re trying to achieve.”- Maynard James Keenan. 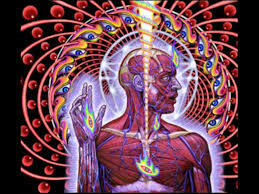 Tool is described by Patrick Donovan, of The Age as ” The thinking person’s metal band.” To full describe Tool, people have to have heard and listened enough to really know the feeling of Tool’s music. They’ve had to contemplated their lyrics and to pull a meaning of it to themselves. As a band, they could be considered a few main categories of genre, that is rock and metal. Though, they are several categories of rock and metal depending on their certain songs and albums. Such as they could be considered progressive metal, alternative rock, art rock and psychedelic rock or just metal. 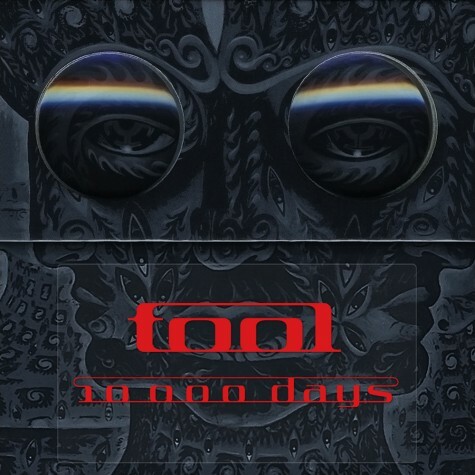 A great accurate description is that Tool’s music can be Cerebral and Visceral, soft and heavy, melodic and abrasive, tender and brutal, familiar and strange, beautiful and ugly, their music is just a tangle of contradiction to itself, each song has an intended purpose; whether the purpose is serious or not. The band is just one big tool for you that you can use to your discretion, you can choose what you want to do with it. The band has many works for not being the most active band lately, but they’ve released a good bit of content ( not if you’re as big as a Tool fan as I am.) Songs will not be name, for a lot of their songs have disturbing or inappropriate content. Even some of the names of their songs are crude or give wrong connotations. Though their four full albums will be released below. These are the full albums, but Tool has released two extended plays, one compilation album and 13 singles. They have many music videos, that are very strange. Fans even have taken the liberty of making custom music videos for Tool’s songs. Tool’s music isn’t very common. It’s out there a little, so to speak. There’s a lot to be taken from it if one chooses to apply themselves to the music as a whole, not just ” It sounds cool.” The songs all have deeper and secret meanings that that are not meant for us to understand. Though, some of Tool’s songs are just to mess with it’s listeners. I understand the music isn’t for everyone, but it can still be tried out. The latest news of Tool is by guitarist, Adam Jones, has revealed the band is working on a new album. It has no set release date, but from the sounds of it, we’ll be seeing it within a year, hopefully. It has been 10 years since their last album, 10,00 days, was released. Legal issues and side projects have contributed to the delay. This delay should be well worth it. Try Tool or don’t try Tool, like it or don’t like it. It’s for your own use, take a mean, just enjoy the music, or don’t.